UC is now offering a new postgraduate course: Masters of Teaching and Learning Degree (MTchgLn). The degree will start in 2015, so enrol now if you’re interested! The course offers graduates an additional pathway into a career in teaching at primary or secondary levels. UC is one of the only NZ institutions which offers a one year masters teaching programme, which makes it an exciting new opportunity. The programme is full time and includes on campus study as well as time spent within schools on a weekly basis. 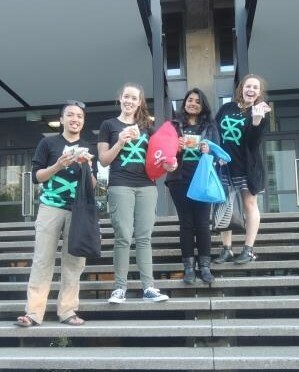 Student Volunteer Army Cookie Surprise! So we’ve now reached the end of the UC exam period which is a relief for everyone! 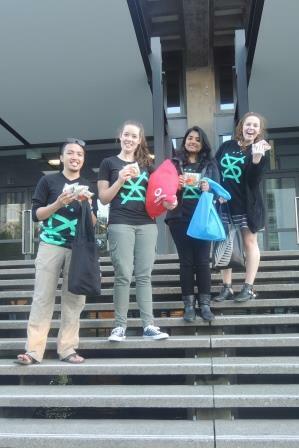 Last week the Student Volunteer Army came to the rescue and gave away around 200 of Cookie Time’s new breakfast cookies. These really did come at the best time for some and the smiles on students faces really showed just how much a small act of kindness could mean in such pressing times! Leave us a comment if you know of anything cool that clubs are doing at UC!